This April, the TRIBE community are coming together to race from London to Paris in just 24 hours, pushing our limits to the max as we ride together, as a team, to support TRIBE Freedom Foundation and fight modern slavery. We will take on the bruising English hills as we head towards the South coast, followed by a stunning ride at the break of dawn through Normandy and power on for a celebratory finish on the Champs Elysee! The TRIBE community are bold, fearless and push their limits. We believe that small changes in nutrition, lifestyle and training can help us perform at least 10% better. The TRIBE 10% project is our challenge to each other in 2019 to improve and push our boundaries. The TRIBE 10% Project: 24 Hours to Paris is one of a series of 2019 TRIBE 10% Project Challenges. Throughout the year, the TRIBE community are coming together, across the UK and the world, to challenge themselves and push their limits with the aim to improve their performance and help fight modern slavery. The community is motivated and inspired by an epic journey, Run for Love 1000. Together, we push the limits of human endurance to support the survivors of trafficking and exploitation. This ride follows a series of events which have raised over £200,000 for the TRIBE Freedom Foundation, to fight human trafficking. To get an idea and be inspired check out this awesome cycling video from Run for Love II here. Can I join as a solo rider? TRIBE are a community of everyday athletes and we are incredibly welcoming! We’re looking forward to bringing like-minded people together and have no doubt you will be planning future cycling adventures together after completing this one. We also guarantee you will make lifelong friends on the trip! Who will the Ride Leaders be? Just Pedal ride captains will be leading the peloton (1:10 support to rider ratio) with extra support from the TRIBE Team to inspire, motivate and cheer you on throughout the challenge. With one ride leader for every 10 riders: no one is held up and no one left behind. – Bespoke 3-day cycling adventure from London to Paris. – B&B Cabin accommodation on the overnight Portsmouth to Le Havre ferry. – Overnight accommodation, HUGE celebration dinner and breakfast in Paris. – Unlimited TRIBE nutrition and hydration products. – Speed groups to suit all rider abilities. – Professional ride support & guidance from expert ride leaders, all first aid trained (1: 10 ride support:rider ratio). – Support vehicle & full mechanical support. – Daily Luggage transfer and return bike transfer to London. – Detailed route info, online maps, gps data, & route profiles. – Pre‐event training plan, training advice and pre-event training rides. – Travel back from Paris. All participants will make their own arrangements to get back from Paris (i.e. fly or Eurostar) at some point on Sunday. Yes – you will need your own road bike. It is also possible to hire a bike for £140 for 2 days. It is also essential that everyone has good quality bike lights (strong front and back lights compulsory). Who is the operator of the trip? This is a TRIBE adventure with bespoke accommodation and logistics prepared by Just Pedal, cycling experts and route leaders. 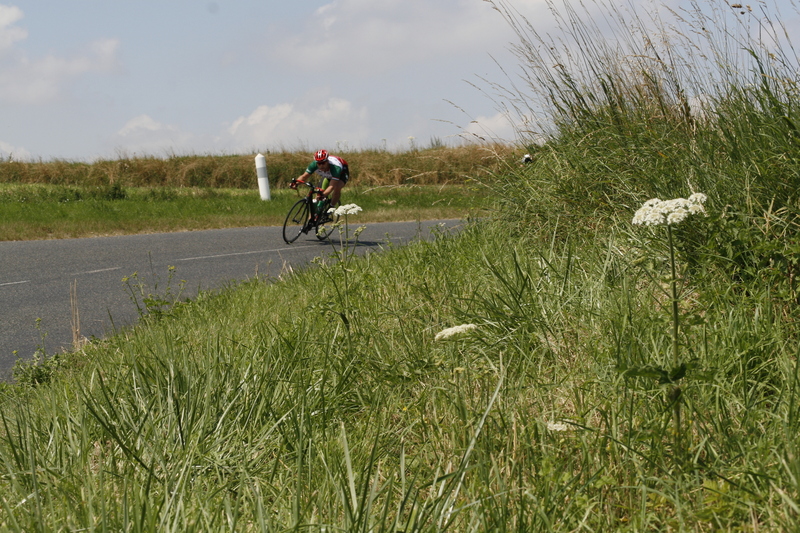 They are specialists in the field with extensive experience of operating cycling and running trips across Europe. How can I get my bike to and from the event? The start point in London is TBC but all riders will be expected to make there own way there. Just Pedal will return your bike to London for you at the finish as part of the package. The bikes will be dropped back to Tribe HQ in Shoreditch Tea Building for collection post-event. All bikes are fully insured during transit and will be loaded and unloaded by cyclists who know how to look after the most fragile bikes! Where is the Bike collection point? Tribe HQ, Shoreditch, London, E1 6JJ. NB: It is very important that you make sure your bike is collected from TRIBE HQ at the times allocated above. We will be unable to store bikes overnight. How long will the ride take? The event is two days of riding. We will be riding approximately 80 – 100 miles each day, which should take between 6-10 hours (depending on which speed group you ride in). *Distances & Route subject to hotel availability, full recce and risk assessment. What food and accommodation will be provided? Accommodation is reserved for you on Friday and Saturday night which includes dinner, bed and breakfast. Accommodation is selected especially for cyclists with secure bike storage and food options to suit all dietary requirements. The final night in Paris will be a fitting team celebration!! Due to space restrictions, everyone will share cabins on the overnight ferry from Portsmouth to Le Havre. The cost of a single room in Paris is £45 extra per night. All safety and navigation support will be provided by Just Pedal ride with extra support from the TRIBE Team to inspire, motivate and cheer you on throughout the challenge. With one Ride Leader for every 10 riders: no one is held up and no one left behind. What if I need mechanical support? A support vehicle with a qualified mechanic will travel with the group and be on call at all times. The van will be fully equipped with spares allowing the support team to keep you on the road and minimise time spent repairing any mechanicals. There will also be a few spare seats should you need a rest at any point. Will I have to navigate the route myself? As mentioned above, our experienced ride leaders will be navigating you from London to Paris. However, we will also be providing the group with GPX navigation files for each day of the route. These can be used on any cycling navigation device from the major brands e.g. Garmin. Please ensure you have installed the routes onto your gps before departure and you have checked each one loads correctly. Will we have access to our own kit during the ride? Your main luggage will be transported straight to the next hotel after the group has departed on their bikes towards their next destination each morning. If needed, a small day bag can be put in the support car with any essentials in them. What will we do for food and drinks during the ride? All riders will get unlimited TRIBE nutrition throughout the ride. We will also be carrying plenty of water should a rider run low or run out. There will be a daily coffee stop and lunch stop planned into the route. What level of fitness do we need? This is a tough challenge that will push you to your limits. A good level of fitness is essential – we will be riding over 100 miles on day two. However, there will be multiple speed groups to suit all rider abilities so everyone can take the ride at their own pace. Will there be team training sessions I can attend? Yes. TRIBE will organise a series of training rides. This is a great way to meet the TRIBE team and other riders. We will contact riders with the full event schedule. Do you have a training plan I can work on? Yes. TRIBE will provide a training plan. As a team we are aiming to raise £20,000 for TRIBE Freedom Foundation to fight modern slavery and end human trafficking. Modern Slavery is a worldwide issue and within the UK alone, the Home Office estimates there are between 10-13,000 people living in slavery. Learn more here. What am I expected to raise? We ask that all participants in Ride for Love fundraise at least £250 for the TRIBE Freedom Foundation. In reality, we hope that everyone will raise more! As a team we are aiming to reach £20,000. Discover more about work to end slavery here. What happens if I don’t hit my fundraising targets? The real question is whether we can each smash the £1,000 barrier!!!! We encourage everyone to set up a JustGiving page (here) but there are many other ways to raise funds. Check out our fundraising guide for loads of ideas, hints and useful tips. Is there a Kit List? There is a separate recommended kit list to follow. Most kit is fairly standard for all riders but we highly recommend you do not forget a spare derailleur hanger or spare spokes. Both of these can be difficult to source whilst travelling. Please be aware that the weather can always change quickly, and we strongly advise to make sure you have both cycling kit and off the bike clothing for all seasons. The event is being organised by Just Pedal and has public liability insurance. It is mandatory for all riders to provide proof of a personal travel insurance policy before departure. This should include cover for participation in cycling and repatriation to your home country. We also recommend that your bike should be fully covered by some form of insurance policy. What travel documents do we need? You require a full passport to visit France. If you do not currently hold one it is your responsibility to obtain one in good time. For non-EU residents, it is your responsibility to check French visa regulations for your nation and ensure the appropriate paperwork is in place before departure. You can book via the Just Pedal website or please contact us at info@Just-Pedal.com to check availability. We will require a 50% deposit per person with the remaining balance due four weeks prior to departure. How will the payment and confirmation work? Payments can be made by online with credit or debit cards, PayPal and bank transfer. On receipt of your fully completed booking form and deposit we will send you a confirmation of you booking and a full trip itinerary. What if I need to cancel my entry? The deposit is non-refundable. Following payment of the remaining balance both the deposit and remaining balance are non-refundable.